Executive coaching and leadership training for individuals, teams and organizations. We empower leaders and teams to develop and executive strategic action plans, clarify goals, build consensus, increase accountability, improve communication, overcome obstacles, and create a championship culture. Pam Borton is a professional keynote speaker and sought-after leadership trainer who shares her personal experiences, success stories, and best practices to motivate, inspire, and empower audiences to achieve greater results and get the next level. We are a dynamic team of leadership development experts who share 70 years of successful coaching experience and are dedicated to empowering and supporting leaders by providing destination leadership summits, customized in-house leadership events, and ON Point leadership academies. 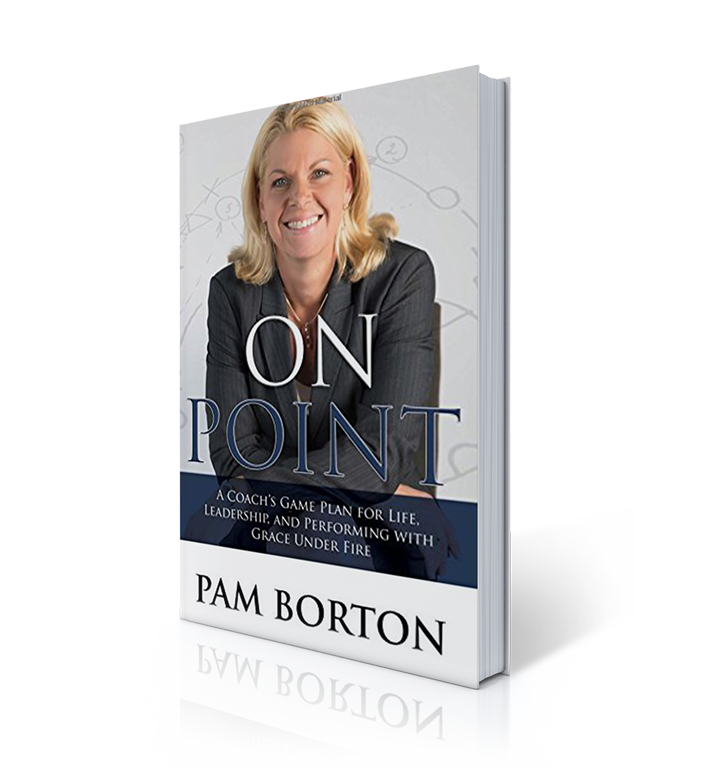 Get an autographed copy of ON Point with a personal note, sent directly to you. Give it to a friend, your team, or add it to your book collection at home!